Your gift supports educational programs throughout the year at the Stage Nature Center. It also enables us to provide volunteer resources for grounds clean up, special projects and programs. Most important of all, your support allows us keep the trails free for everyone. 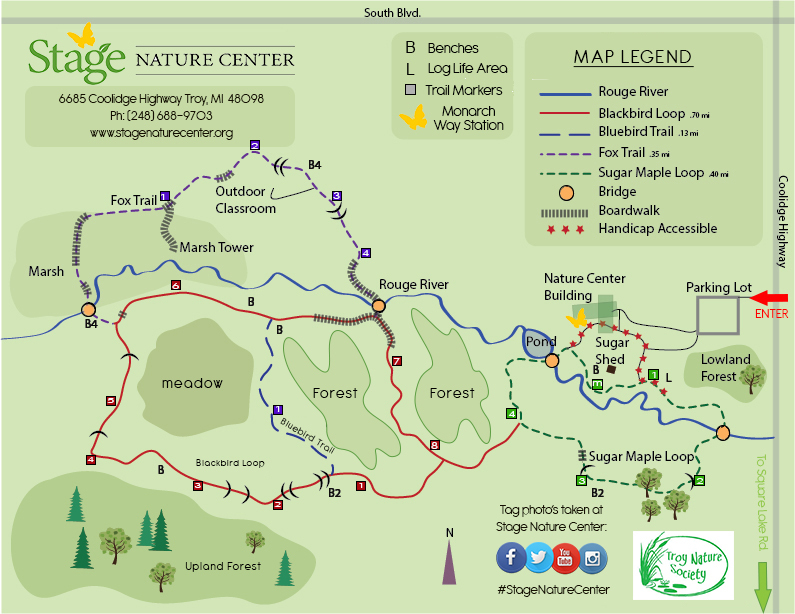 Become a supporter of the Stage Nature Center by registering for an annual membership today! Our volunteers are the heart of our organization. Volunteering your time or resources is a wonderful way to support Troy's only nature center. Sign up today to be notified of upcoming volunteer opportunities. So that you don't miss out on all our upcoming events, be sure to check out our event calendar. Have you heard the news about Coyote's in Troy? Get the facts on Coyotes, how they interact with humans and how they can be beneficial in non-rural areas.